Vodacom together with Eduloan, a leading education finance and bursary administration provider is giving students the ability to pay for educational and daily expenses from their bursary cash stipends, by using m-pesa’s mobile wallet. In the pilot phase, Eduloan bursary students will get their cash allowance deposited into their m-pesa mobile wallet. This will enable them to pay for some of their daily expenses using m-pesa. The plan is to migrate cash stipend students to the m-pesa platform during the month of October 2014. Students who form part of this pilot but do not have cellphones will be issued with entry-level handsets by Vodacom to make sure that they do not miss out. 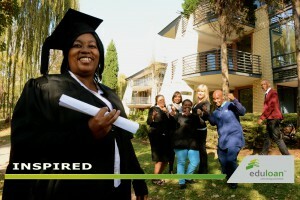 Eduloan’s existing electronic bursary disbursement system – which is currently enabled by smart card technology – has seen increasing student numbers, as well as an expansion across the various geographical areas, as more institutions and corporates entrust the organisation to manage their bursary funds. Eduloan recognised the need to further extend its platform to include mobile enablement to ensure ease and accessibility of students accessing such funds. Over and above this Eduloan recognised the need to offer its student a low service cost banking solution to ensure that high charges would not prohibit their ability to access funds/cash required to fulfil their education. “The strategic fit is excellent as it draws on the relative strengths of both firms. It allows Vodacom m-pesa to enter the new and exciting market on campus and in schools, and allows Eduloan to migrate to a lower-cost and more feature-rich platform than it would be able to execute on its own. This gives Eduloan the benefit of lower risks as well as improved customer satisfaction,” adds Singh. The process is simple. Students can open an m-pesa account by dialling *111# and follow the prompts. Eduloan will then deposit allowances or stipends funds directly into the students’ m-pesa account. This gives students access to a safe payment service to make cash deposits, do person-to-person transfers and make purchases using any POS device. m-pesa includes an optional Visa card, meaning that mobile money can be used by students to pay for purchases at any store that accepts card payments. Other new uses of m-pesa include the ability to deposit and withdraw cash at 27,000 ATMs and over 240,000 merchant outlets in South Africa. In the near future it will also be possible to purchase prepaid electricity using m-pesa. “m-pesa undoubtedly provides the innovation, simplicity and accessibility needed for the Eduloan market,” says Smit.